In 2018, U.S. stores sold sunglasses worth over $2 billion – and the market is expanding. Sunglasses were once a luxury item bought for hundreds of dollars by the upper crust. That's not the case today. Plenty of fast-fashion retailers have been hawking trendy eyewear on a budget. Let's be real: it's never uncool to protect your eyes from dangerous UV rays. A sunglasses business can be lucrative and creative, especially if you have a passion for fashion. Getting started is as simple as doing some research and promoting yourself online. When you're launching a startup business, keep it simple. Find your key demographic and really think about what they'd wear. This requires a bit of research, which you can do online. Check out similar brands and see what they're offering. If you're selling to trendy teens, opting for a wider range of inexpensive sunglasses may suit you best. If you're selling to active adult men, functionality could trump current trends. Once you've found your demographic, you need an actual product, so it's time to find a wholesaler or manufacturer. You may choose to work with local designers if you're opting to carry luxury products. Otherwise, you might want to take your business to an overseas wholesaler like Alibaba, the largest wholesaler marketplace on the internet. Sunglasses are relatively cheap at wholesale prices, and you can mark them up to make quite a profit. If you're creating your own designs to be produced by a manufacturer, you're going to need more capital. Some brands choose to crowdsource on services like Kickstarter, a website that helps business owners raise capital directly from consumers, rather than funding the project themselves or turning toward investors. Decide whether you're going to manufacture your own sunglasses or purchase them from a supplier. The first option will involve higher costs since you need to invest in equipment and hire an in-house team. Create various designs with your target audience in mind. Consider the latest trends as well. Consult a fashion designer and an ophthalmologist to ensure that your products are stylish yet functional. Factor in the price of materials and accessories. Plating, acetate and other high-end materials will cost more, but they last longer and look better. Plastic is cheap but has a short life and can easily break. Depending on your budget, you can manufacture sunglasses on-site or work with a private manufacturer. Your customers aren't just buying sunglasses; they're buying a certain feeling. Your brand's image creates that feeling. To get brand loyalty, your branding has to be extremely strong. Think about the type of lifestyle you want to promote, whether it's that of an adventurous backpacker or a 20-something at the mall, then stick with it. Hire a graphic designer to come up with a solid logo and place it on every social media account you have. You've got to sell your sunglasses somewhere, and an online store will have the smallest startup costs. Let's not forget that online retailers are generally crushing brick and mortar stores. To get an online store, use a custom e-commerce and website design service like Shopify or Squarespace. 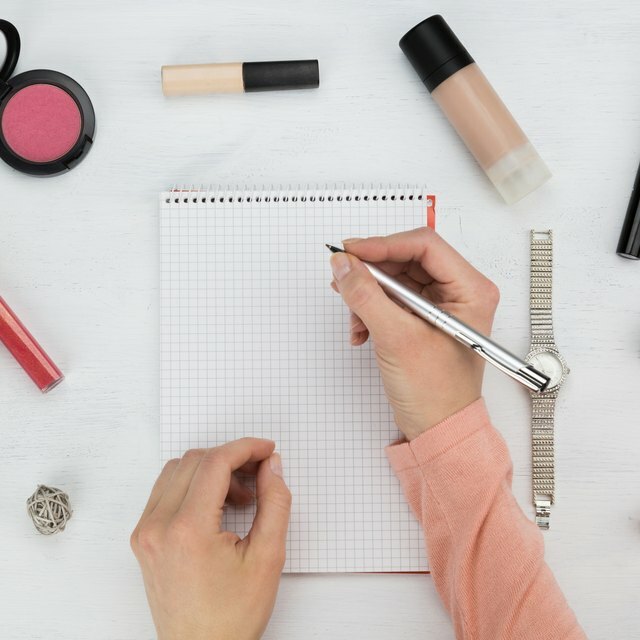 If you want to test the waters before launching your own website, create a store at an online marketplace like Etsy or eBay, which was used to launch the multinational brand, Nasty Gal. As a rule of thumb, product images are everything. Make sure yours are high quality. Videos generally sway customers more than a still image can, so you might want to include videos along with your product descriptions. Fashion businesses like ASOS have found immense success using this method. Social shopping websites, such as Kaboodle and Polyvore, are a great addition to a sunglasses marketing plan, and influencer marketing has been pretty foolproof for online fashion. Would Fashion Nova even be a thing if they didn't pay highly followed Instagrammers to rep their jeans? Consider setting aside a portion of your marketing budget for influencers. If you're seen on the coolest fashionista sites, the average consumer is sure to follow. Also, make sure you have highly active and collaborative social media channels. You want your customers to feel appreciated and build a culture around your brand, so repost their images and make sure to give plenty of shoutouts.